There’s few things quite as English as the Chelsea Flower Show. Alongside crumpets, a stiff upper lip and losing to Germany on penalties, it is a source of national pride. Well, good news for all of you garden fans, as the Chelsea Flower Show has returned to the Royal Hospital Chelsea for another week of green-fingered fun. And this time one of the nation’s favourite cruise lines has been getting in on the act – and doing rather well. 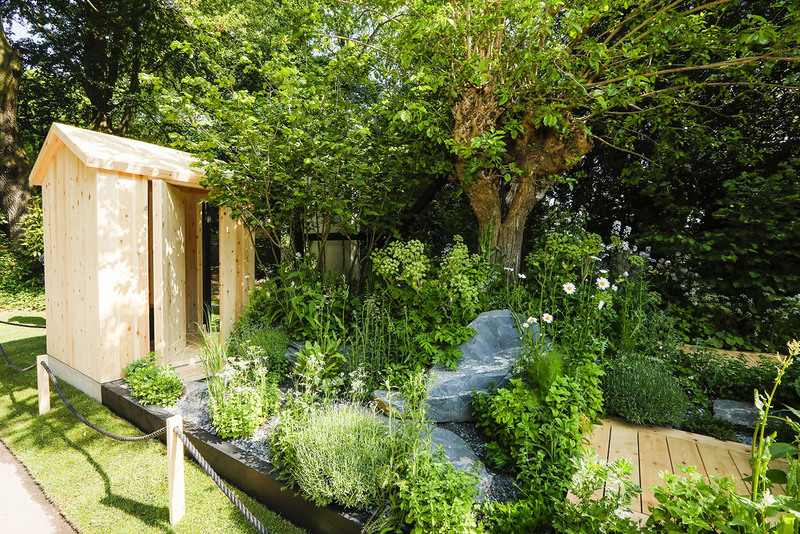 The Viking Cruises Wellness Garden, sponsored by Viking, the Wave Award-winning cruise line, has been awarded a coveted Gold Medal today at the RHS Chelsea Flower Show 2018. Designed by Paul Hervey-Brookes, the garden explores the three dimensions of wellness; eating well, living well and the idea of balance bought about by interacting with the landscape and living in harmony with nature. Inspired by the great outdoors, which plays a profound role in the life of Scandinavians, it draws on the Nordic landscape and celebrates the deep connection between nature and wellbeing, that provides a sanctuary for both body and mind. This connection is at the heart of the design of Viking’s ships, which are filled with natural light and large alfresco spaces allowing guests to fully immerse themselves in the beauty of the world’s rivers and oceans. This is the fifth garden that Paul Hervey-Brookes has designed at the globally renowned RHS Chelsea Flower Show, and his second gold medal win for Viking, following the award-winning Viking Cruises World of Discovery Garden at Hampton Court Palace Flower Show 2017. The Viking Wellness Artisan garden at 2018 RHS Chelsea Flower Show will be showcased from 22–26 May 2018 and can be seen at plot AR560.